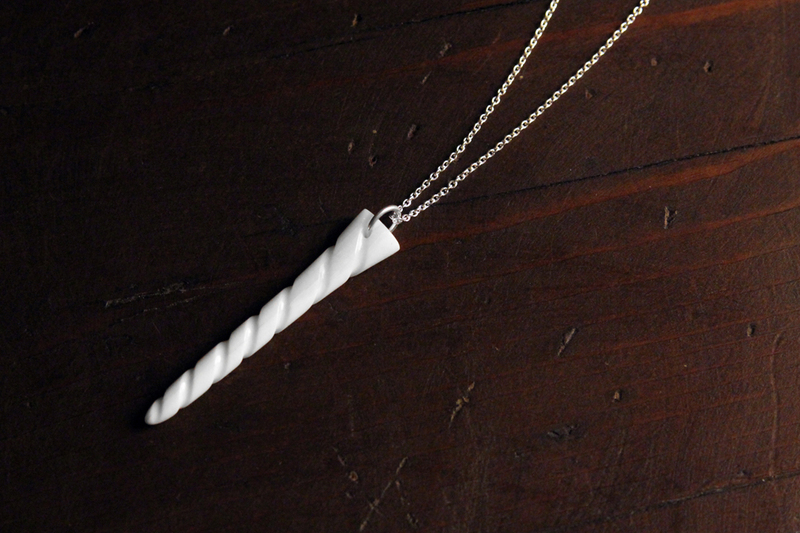 This is only the second Unicorn Horn bone carving I have made so far but I like it a lot. Both of the Unicorn Horns are for sale at the Museum of Contemporary Art San Diego in the Gift Store along with a few other designs I have in there or you can buy them on the website www.studiotapu.com. The horn is about 2 inches long and 1/3 of an inch wide. Two lines spiral down towards the tip and I try to show a little grain/texture in these. We have them on sterling silver chains at either 18 or 24 inches. 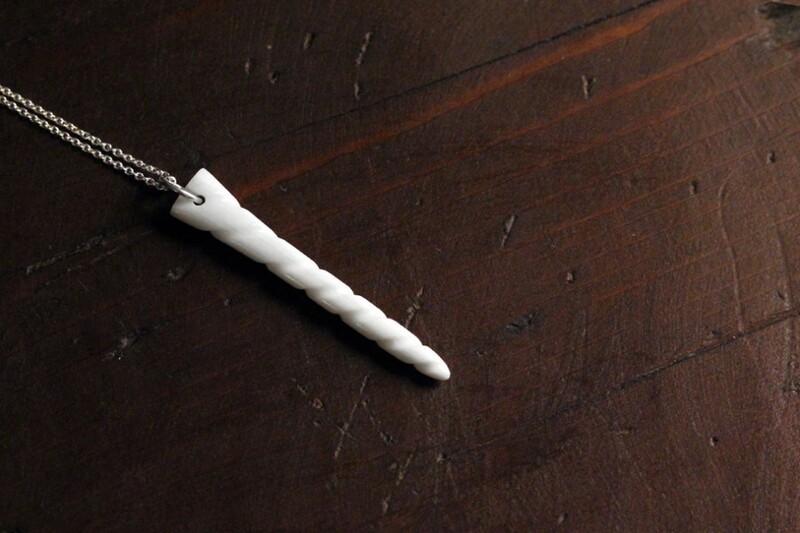 This entry was posted in Bone Carving and tagged bone, bone art, bone carving, handmade jewelry, Unicorn, Unicorn horn, unicorn jewelry, unique jewelry, white polished jewelry by tj. Bookmark the permalink.